Twin sisters Eva and Hana Luskačovy are English speaking dentists in Brno. They have a clinic called Duo Smile and as they have practiced dentistry in countries like New Zealand or England, they are familiar with working with foreign nationals. These dentists don’t just treat, they also share useful information to protect your health. As you may recall from the principal scene, they had suggested more advantageous options with standard amalgam fillings. The sisters claim that mouth is the beginning of your respiratory and digestive tract. Therefore, the health of the oral cavity is critically important to your general health. Did you know that gum disease (gum bleeding, swelling, sensitivity, and redness) and tooth decay is one of the most common bacterial infections?! Check out this video! 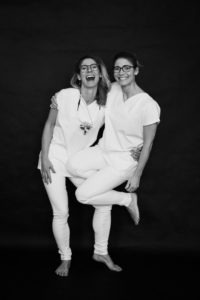 Luskačovy sisters provide dental services in Brno. Gum disease is the inflammation of the gums that can progress to the bone that surrounds and supports your tooth. If dental floss is not used and teeth are not brushed every day, plaque can accumulate in the teeth and bacteria can infect not only the gums and teeth but also the gingival tissue and the bones supporting the teeth. This may cause the teeth to relax, fall, and be pulled out by the dentist. How can I know if gum disease occurred? Mix one teaspoon of salt in 125ml of almost boiling water-ideally filtered (non-chlorinated, non-chlorinated). The hot water will activate and dissolve the salt. You may add a drop of an essential oil. Shake it not stir it and your mouthwash is ready. Sip a bit – swish, swish, swish rigorously and spit. Repeat it 2-3 times a day or hourly should you have more severe inflammation. It makes pH of our mouth alkaline hence eliminates microbes. Salt rinses are not only great when you suffer from gum bleeding. They are also beneficial as a preventive measure or when you have mouth sore or ulcer, as well as after tooth removal or tooth replacement (implant surgery). Do you care about your health? Get comprehensive health insurance for expats if you don’t have it yet and check out our healthcare services. 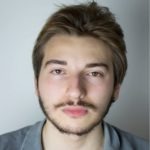 Hey there, I am a Turkish teacher, student, traveler and Greenpeace volunteer. Ready to share my Czechia knowledge with you. Enjoy! Well, the salty water can reduce the symptoms for sure but if you use the toothbrush correctly and eliminate bacterias which are between a tooth and a gum, you eliminate the cause!